These cute navy blue boy shorts feature palm trees on a deserted island. Each pair has a sewn in adjustable waistband inside. Pair with a tee shirt for a complete outfit. 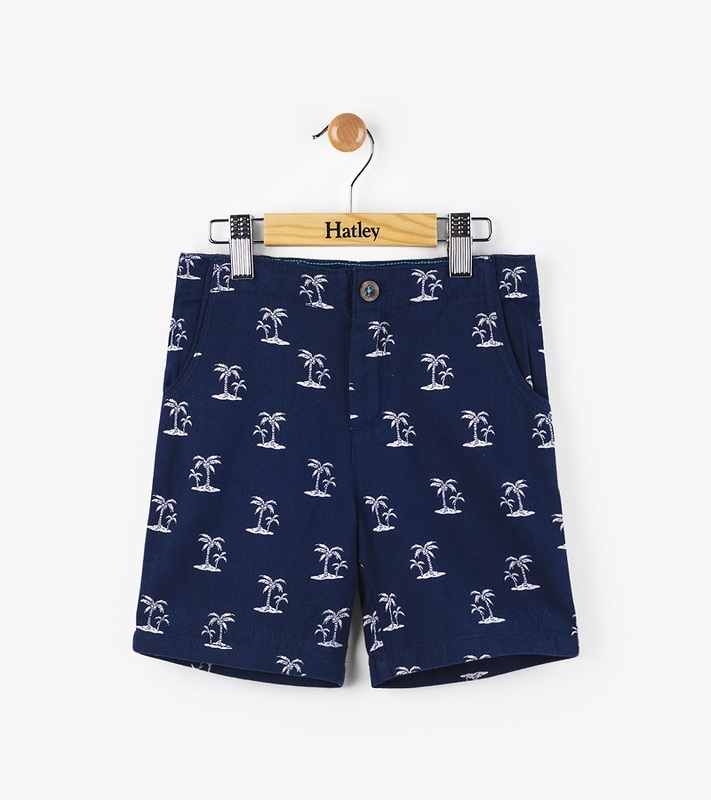 By Hatley.